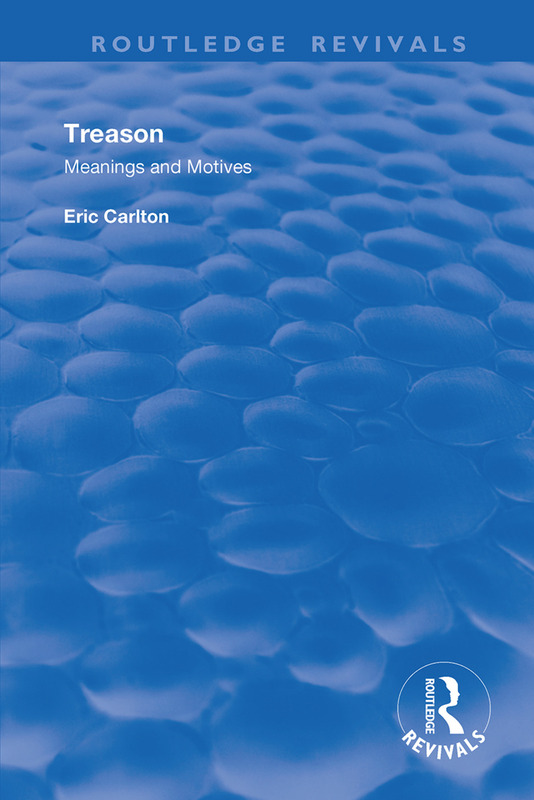 First published in 1998, this volume is a historical and comparative study of treason, whose aim is to clarify and categorize the diverse and often mixed – even confused – motives which underlie treason, both at its conspiracy and implemental stages. Its approach is to use case studies ranging from classical society to modern cases of treachery to examine this complex issue. Some of the case studies will have a familiar ring, but others will not be so well known, as the book is not merely a popular recitation of spy stories. Rather, it is concerned with the nature of treason, and offers some theoretical pointers to treason as a social and psychological phenomenon. The text demonstrates that, while in common speech the term ‘treason’ has pejorative connotations, it is, in fact, a multi-faceted phenomenon which merits much closer investigation. Treason: Are there any Relevant Theories?